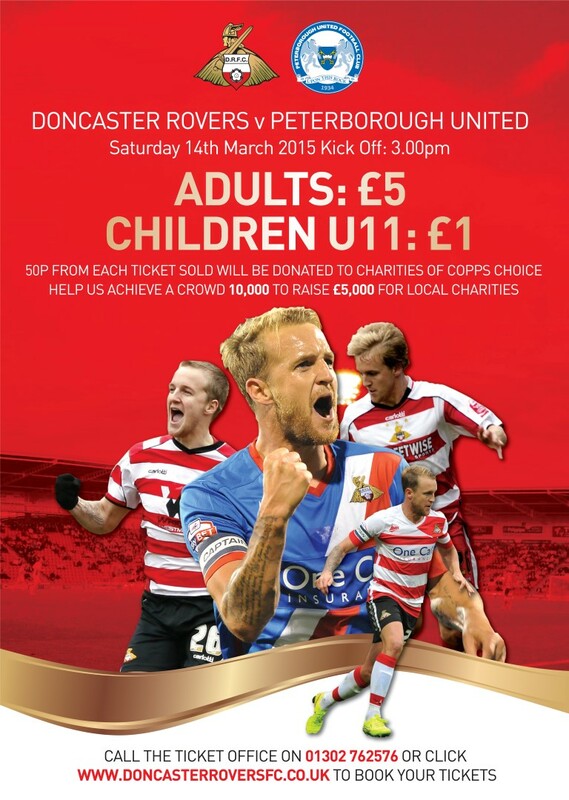 Planned to celebrate Rovers fan's favourite James Coppinger hitting 450 appearances for the club, tickets for the match on Saturday 14th March versus Peterborough United will be available at a very special price. All fans can come to the game and see the Rovers attempt to strengthen their grip on a play-off place for just £5, and under-11's for just £1. What's more, 50p from every ticket sold will be donated to a charity of Copps' choice. Demand for tickets has already been high so please make sure you get yours as soon as you can, and tell all your friends and family about this brilliant offer from your local club. If YOU can make the difference and bring extra supporters to the game, we could see a very generous donation raised for a deserving charity.